The old adage is true when it comes to your dog’s health … your dog can’t be healthy without a healthy gut. Trillions of tiny organisms live inside your dog’s gut. In fact, they outnumber your dog’s own cells by ten times. These organisms include bacteria, viruses and fungi. They live in the mouth, respiratory tract, small and large intestines. Together, these communities of tiny guests are called the microbiome. They carry an array of benefits for their host (your dog). In fact, they’re so important to your dog’s health, they form most of his immune system. Let’s take a look at why it’s critical to keep your dog’s gut healthy … and the things you could do to harm it. Most of the bacteria living in your dog’s gut are friendly, healthy bacteria. They form little neighborhoods (microbiomes) and that’s a good thing (as you’ll find out). Let’s say your dog is bitten by a tick-infested with Lyme bacteria. Or he raids the garbage can and devours a Salmonella filled chicken carcass. 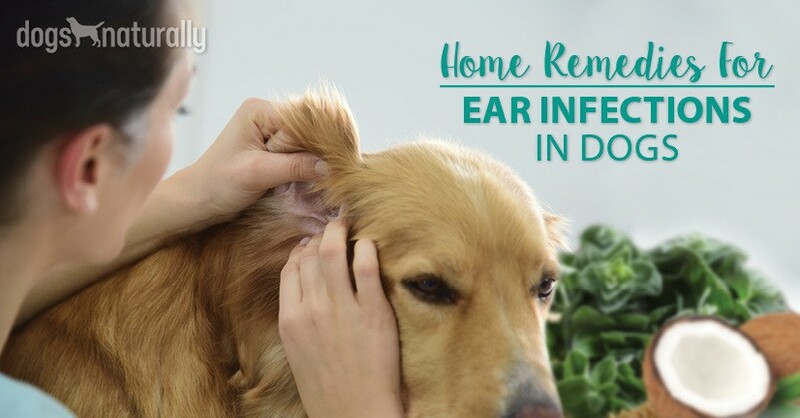 Those harmful, pathogenic bacteria will enter your dog. But bacteria need food and resources to live. And if your dog is lucky, he has trillions of friendly bacteria already in his gut. The friendly bacteria will compete for resources with the harmful bacteria, starving the bad bacteria to keep your dog healthy. The good bacteria can also protect your dog from fungi like yeast as well as parasites in his gut. If your dog is lucky, he has trillions of friendly bacteria already in his gut. The friendly bacteria will compete for resources with the harmful bacteria, starving the bad bacteria to keep your dog healthy. Dysbiosis can also lead to a more serious condition called Leaky Gut Syndrome and I’ll talk about that in more detail below. Short-chain fatty acids (SCFA) are molecules that are produced when dietary fiber ferments in the colon. And friendly gut bacteria are what causes the fermentation. SCFA provide food for the cells that line your dog’s colon and are important to maintain colon health. They boost the mucous membrane layer in the gut, protecting the intestinal lining against pathogens. They also help move food through the large intestine and are an essential part of nutrient absorption. SCFA boost muscle activity, blood flow and water absorption in the colon. Short chain fatty acids can help protect against diseases like inflammatory bowel disease, heart disease and obesity. So as well as a healthy population of good gut bacteria, it’s important for your dog to have sources of fiber in his diet for the production of SCFA. Remember we talked earlier about dysbiosis … when the friendly vs bad bacteria in your dog’s gut is out of balance? Dysbiosis can be caused by many things … like poor diet, antibiotics, steroids, vaccines, flea and tick products and other drugs … and can lead to Leaky Gut Syndrome. Your dog’s intestinal wall is lined with a delicate mucous membrane that allows digested nutrients to enter the bloodstream. Think of it like a cheesecloth that only lets tiny particles through. This “cheesecloth” also protects the bloodstream from pathogens and undigested food. But when your dog has dysbiosis, the mucosa can become inflamed. This causes the holes in the cheesecloth to get stretched out, letting larger food particles, bacteria and toxins through into the bloodstream. This is Leaky Gut Syndrome. The condition sets off a chain reaction in the body: the liver has to work harder to screen out the particles; the immune system tries to prevent the invaders but can’t keep up. The result is inflammation which can lead to many types of disease, including skin issues, food sensitivities and allergies, chronic digestive and other disorders, and even autoimmune disease and arthritis. [Related] There are simple things you can do to heal leaky gut. Find them here. The gut, including its myriad of bacteria, is known as “the second brain” and there’s a very good reason for that. Your dog’s gut and brain are intimately connected. The gut-brain axis (GBA) links the emotional and cognitive centers of the brain with the gut. The communication goes both ways – from the gut to the brain and from the brain to the gut. So when you’re anxious you get “butterflies” in your stomach. And if you have poor intestinal health, it can affect your mood or stress levels. It’s the same for your dog. His gut health can affect the level of anxiety or stress he feels. So if your dog’s friendly bacteria isn’t keeping his digestive system healthy, he may not just show it by having diarrhea or a stomach ache, but also through the way he feels mentally. Every time your dog eats, the GBA sends messages up to his brain. This affects his emotional state. Research shows that a healthy gut affects motivation and higher cognitive functions. On the flip side, a disruption of the GBA can cause mood disorders like depression and anxiety. This disruption includes disorders like dysbiosis and irritable bowel syndrome. It’s also likely that poor gut health can contribute to behavior issues. Improved gut health has been shown to help children with autism, and there’s research suggesting dog behavior can also be affected by digestive health. [Related] Gut health impacts behavior. Read more about this here. What’s Harming The Gut And How Can You Heal It? Now that you know what an unhealthy gut can lead to, how can you heal it? First, you have to know what harms it. A raw diet promotes a healthier gut microflora. Bad bacteria and yeast are what harm your dog’s gut. Carbohydrates and starches like grains, potatoes and sweet potatoes, are essentially sugar. Sugar feeds yeast. And grains turn into sugar and are considered pro-inflammatory. When your dog eats grains, he has a constant level of inflammation in his gut. Read between the lines here: kibble is not your dog’s friend. Switch to a raw, fresh, whole food diet. Raw, fresh, foods (meat, vegetables, fruit) provide a source of natural microbes for your dog. Research shows that a raw diet promotes a more balanced growth of bacteria in the gut. [Related] Nervous about feeding raw? Don’t be. Here’s how to make it easy. Probiotics are the good bacteria that live in your dog’s body. Inflammation kills these bacteria and leads to problems. You need to rebalance the good bacteria to kill the bad. Probiotics also support the immune system so you can give them to your dog to support overall health. If you’re switching to raw, probiotics can also help with the transition. Fermented vegetables – buy organic or make your own. Start out slowly and work up to 1 tsp per 15 lbs of body weight. Add them to your dog’s food daily or feed as a snack. Kefir (organic, unsweetened) – give 1/4 cup per 25 lbs of body weight daily. You’ll also want to feed the probiotics with prebiotics. They’re the food probiotics need to grow. Add some apples, bananas, garlic, dandelion greens and asparagus on a regular basis. You can also get a good pre- and probiotic supplement in one. Prescription antibiotics devastate friendly bacteria. They can’t tell the difference between the good and bad bacteria and plow through the gut like a bull in a china shop. Prescription antibiotics devastate friendly bacteria. They can’t tell the difference between the good and bad bacteria and plow through the gut like a bull in a china shop. They either kill the bacteria outright or stop them from multiplying. Steroids also inhibit many important gut functions. They suppress the immune system and can lead to a proliferation of harmful bacteria. Vaccines disrupt the immune system and stop the friendly bacteria from multiplying. Over-vaccination is a major cause of poor gut health. Titer test for immunity before adding more toxic chemicals from vaccines. Find more on titer testing here. [Related] There are several natural alternatives to chemical antibiotics. Find them here. Your dog’s gut is a powerhouse of friendly defenders. The colonies of bacteria are essential to overall health. If these colonies are attacked and compromised, they won’t be able to protect your dog. If the gut microbiome isn’t healthy, your dog is vulnerable to all kinds of health concerns. Protect your dog’s gut to protect your dog. Biotin For Dogs: Is Deficiency A Risk?